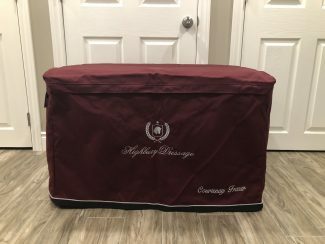 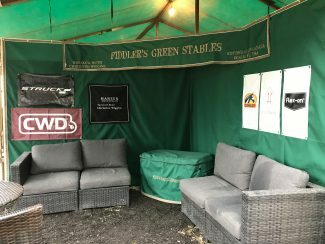 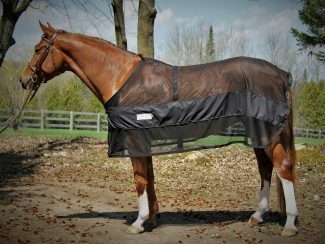 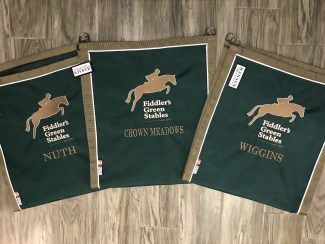 Custom equestrian stall banners are a great way to dress up your horse’s stall both at home and at the shows. 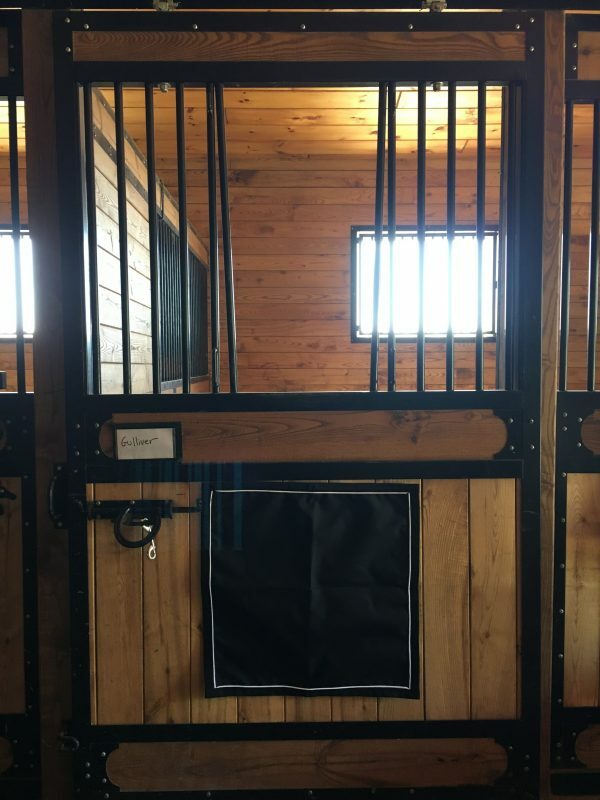 Stall banners are mode with our cordura fabrics which are waterproof and machine washable. 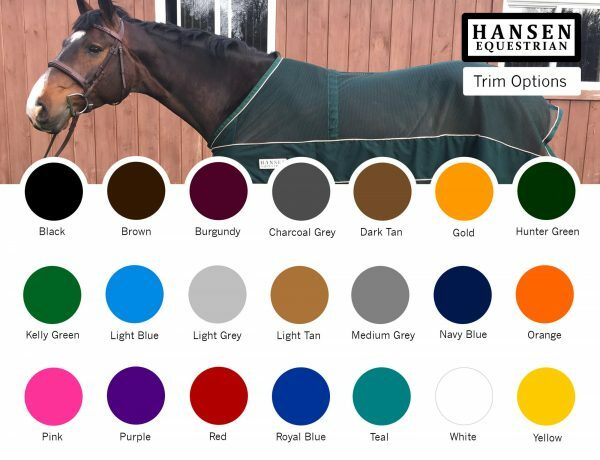 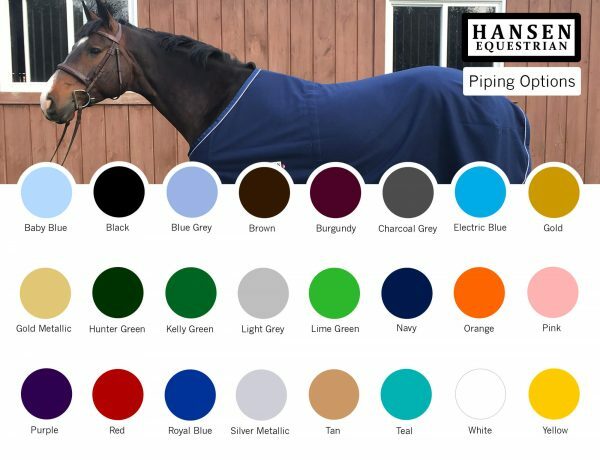 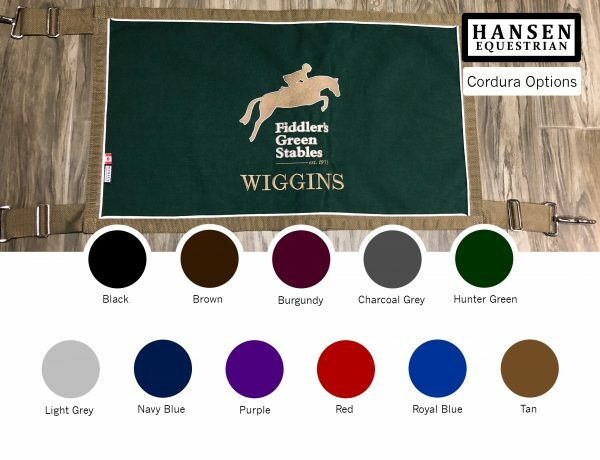 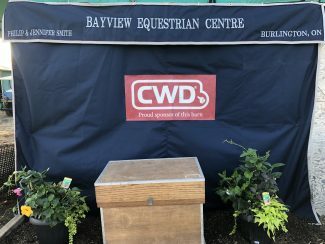 As part of our Hansen Equestrian Show Collection, these banners can be ordered in bulk as part of a package deal for your entire barn with custom colour combinations and embroidery. 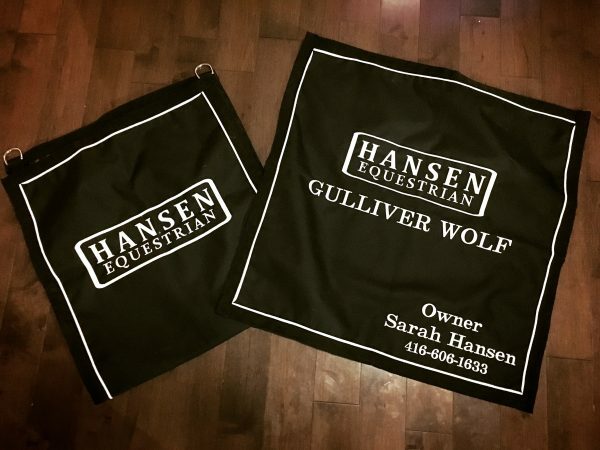 Have your barn logo put on, your horse’s name and even your contact information. 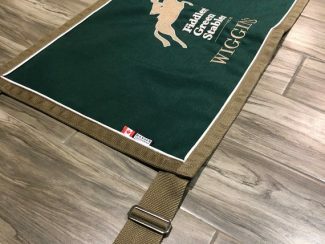 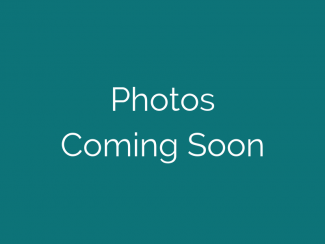 Banners can be fastened via staple gun or grommets can be added in the corners.